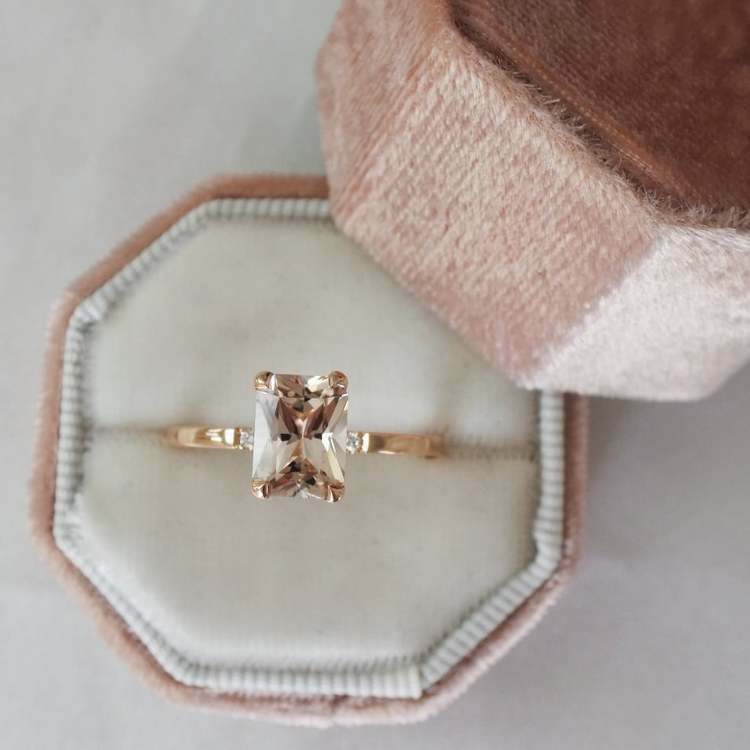 The ring is made in 18K gold (choose between Red, White & Rose gold) with an radiant cut champagne topaz & two white diamonds. The size of the topaz is 8x6mm. Since the topazes are natural the color can differ.